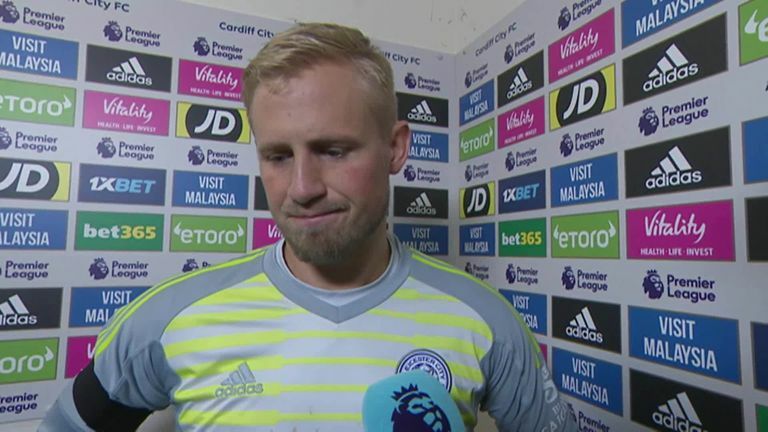 Kasper Schmeichel described himself as "so proud" after Leicester beat Cardiff in their first game since the death of club owner Vichai Srivaddhanaprabha. Srivaddhanaprabha - and the four other people killed in the helicopter crash last weekend - were honoured ahead of the match in emotional scenes at the Cardiff City Stadium. Leicester then secured a 1-0 victory through Demarai Gray, who finished in the 55th minute from Ben Chilwell's cross. "I feel proud," said Schmeichel, who was stopped by police last weekend as he ran towards the burning helicopter to try and help. "It's been a really tough week for everyone but the way everybody at the club has handled themselves is a testament to the family that Vichai built. "That took a lot out of us today, it was tough, but I am so proud of how everyone played and how professional they were. It was always going to be an emotional day but I am glad we got three points for him." 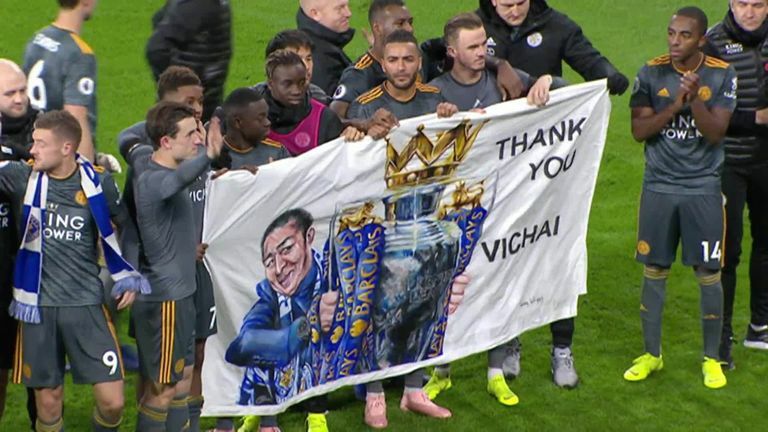 Players stood with fans for 10 minutes after the match, applauding and unveiling a banner saying 'Thank you Vichai'. "You come across very few people in your life that really impact you," added Schmeichel. "He had a really big impact on my life and you can see from the reaction that he had an impact on so many lives. "He's a man we are immensely proud to have known and we are thinking about his family. We are all hurting but can't imagine what they are going through. We wanted to do it for him and his family." Leicester players will now head to Thailand on Saturday evening to take part in some of Srivaddhanaprabha's funeral. 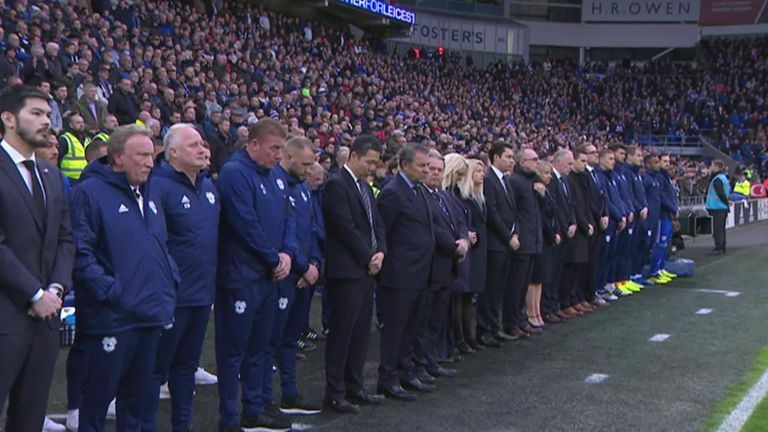 There were emotional scenes prior to the kick-off of Leicester’s away trip to Cardiff as the whole stadium paid their respects to the passing of the five victims of last week's tragic helicopter crash. Schmeichel said: "Every single player wanted to get out there. There was no pressure to do it, everyone deals with grief in their own way and the chance to go out and end part of the funeral was offered to us and everyone jumped on that. "We are glad that we have come away from a really tough game with a win that we can take to Thailand and we hope we did his family proud." 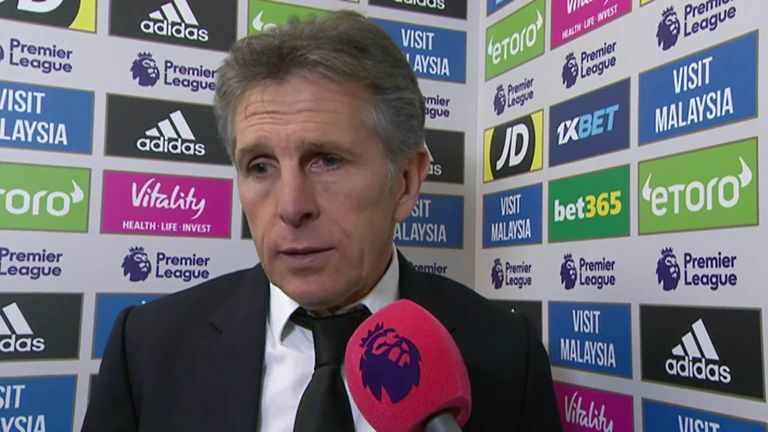 Leicester manager Claude Puel described the win as a "first step". "It was a difficult game to prepare and difficult to play," he said. "From the first minute to the last we kept out concentration and our desire and we played well. We deserved the result and it's a fantastic opportunity to honour our chairman and it was fantastic coming here with our fans and staff. "Now it's just the first step and I hope we can manage the next week with the same feeling but it will be difficult because we have the funeral and come back in the middle of the week and then have to prepare for the game against Burnley, the first game at home."